Joyce, I have attached the indices for the 1870 Elmira Weekly Advertiser. They are in three separate parts Marriages, Deaths and Misc. articles. I listed every name found in each article. That means if you find a name under deaths that doesn't mean that that person is the one that died. He or she could just be mentioned with someone else's death. The same holds true with the marriages. It could be just the name of a person that was a friend or relative of the bride or groom. If you want a copy of the article contact the Steele Memorial Library at www.steele.lib.ny.us. Mention that you found the info from this site and give the year of the paper, marriage, death or misc. index and the page number. If some one finds a name that they want information on they will have to visit the library and look in the book. Or they can send the library letter requesting a copy made with the page number and it will cost them $5. Their web site is Steele Memorial Library Elmira, New York 14901 . 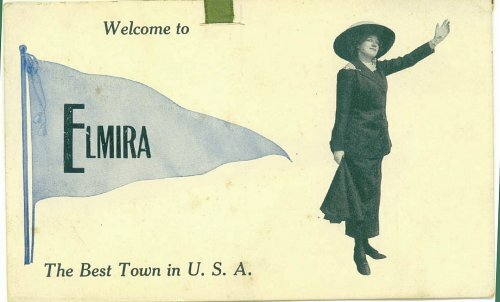 Under genealogy department you will find "submit a query"
Elmira, NY 14901 Query's are usually answered on the same day they are received.